While muffin recipes are easy to involve children in, as batters are hand-stirred and lumps are permitted, cookie dough can be a bit tricky. 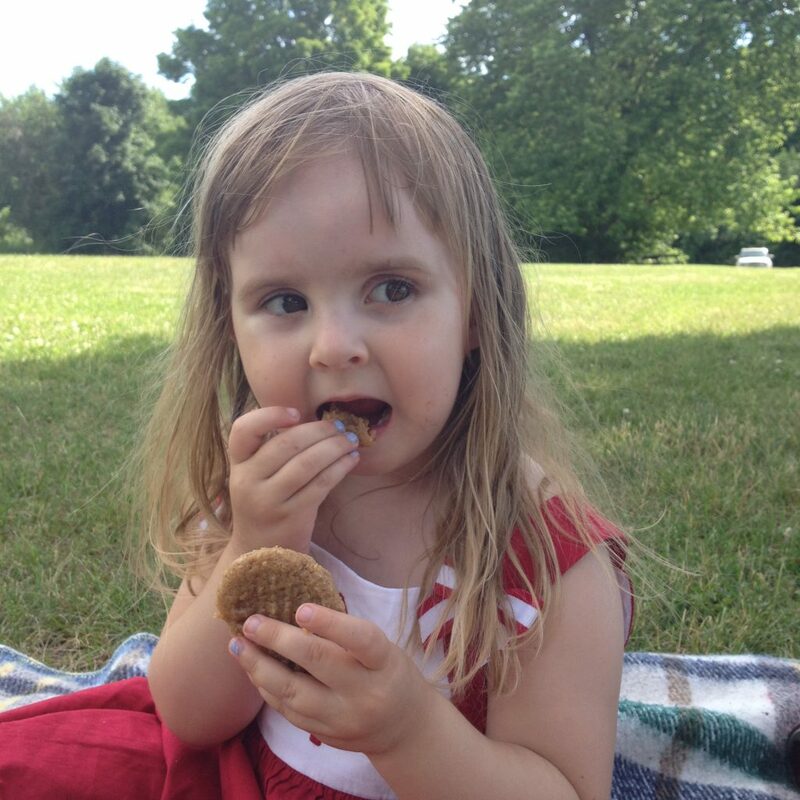 Some children are sensitive to the sound of mixers, may not have the self-control to resist reaching for the whirring beaters, or are not yet strong enough to guide hand-mixers; and each cookie recipe seems to have its quirks which can strongly effect the results of the recipe. I wanted to prepare something that was a bit patriotic for Canada Day and Fourth of July, and after a quick Facebook poll, I settled on making some form of maple cookie. The recipes had to be delicious, made from ingredients I already had on hand, and easy enough for the children to execute, because there is no way that I am going to stay in the kitchen baking complicated cookies while the children run around the house! 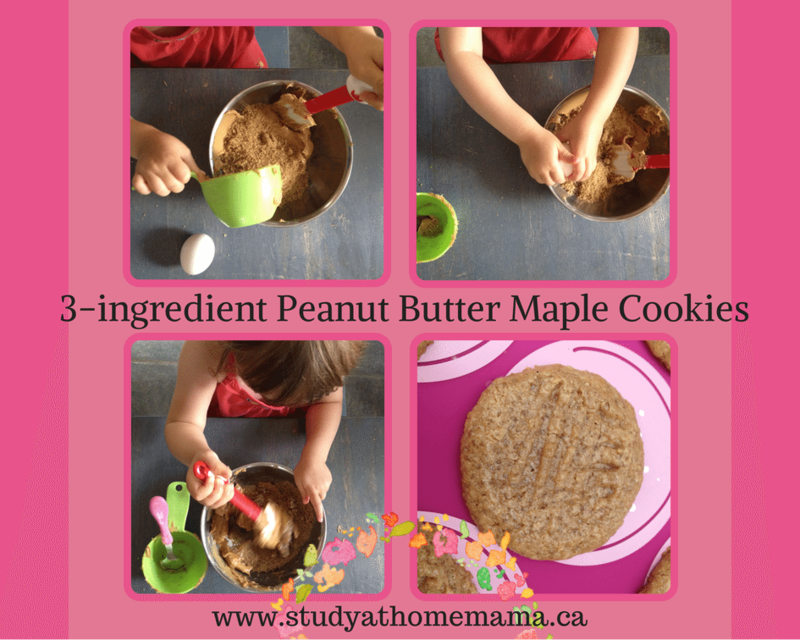 Combining the maple and peanut butter was a great way to offer a celebratory cookie for both national holidays this week! This recipe calls for maple sugar, but to make your own maple sugar, stir 2 Tablespoons of maple syrup into 1 cup white sugar, then spread out onto a lined baking sheet and leave out to dry overnight. If you’d prefer, you can use molasses instead of maple syrup. We came up with these 3-ingredient Maple Peanut Butter cookies, which were super-soft and full of healthy goodness. We used natural peanut butter, so the only sweetness was coming from the complex maple sugar which has the health benefits of anti-oxidants, vitamins, minerals, and helps with digestive issues, muscle and bone building, and improving immunity (by increasing white blood count to help fight off colds and viruses). Whip or stir the ingredients together until fully incorporated. Refrigerate the dough for 1 hour or overnight. Roll tablespoon-sized portions of dough into balls, place 2" apart on a prepared cookie sheet and press down with a fork to make a cross-hatch design before baking for 8-10 minutes. 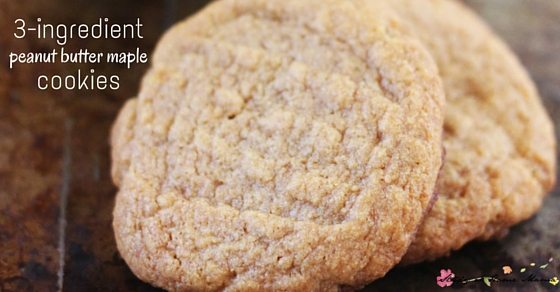 If you liked this easy cookie recipe, be sure to check out our other Dessert Recipes or Kids’ Kitchen activities, including more 3-ingredient recipes!